The Geraldine reclining sofa and loveseat features power recliners and a storage console in the loveseat. The set has hardwood frames and high density foam seat cushions for softness. 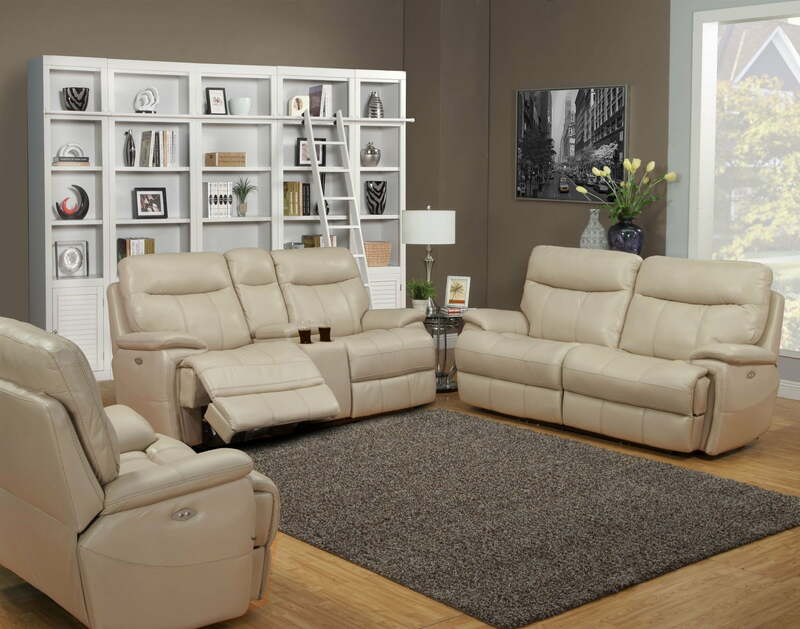 The set is available in a creme, high performance leather fabric.